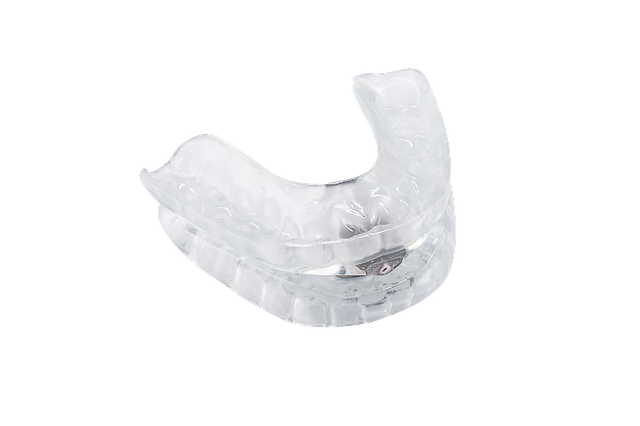 In a recent study from the journal Sleep Medicine researchers looked at the treatment of obstructive sleep apnea (OSA) with an oral appliance (OA). There is currently no gold standard method to fine-tune the mandibular advancement. This study was created to analyze the effect of gradual increment of mandibular advancement on the evolution of the apnea. The researchers proposed the use of a multiparametric titration protocol to optimize the mandibular advancement. Thirty percent of the sample population exhibited the best results without any mandibular advancement and low frequency of side effects were observed. There were 36 patients involved in this study (22 were men) with a mean age of 57 years. The mean mandibular advancement was between 1.7 and 1.5 mm achieving about 50 percent reduction in AHI in 72 percent of the patients. There were also 27 patients with an AHI of 10. Of the 21 patients with moderate to severe OSA, 17 had the highest decrease in the AHI in a mandibular advancement of about three millimeters. Researchers found that monitoring the subjective symptoms of the patient and objective evolution in the AHI could minimize the mandibular advancement needed for proper treatment of OSA. What are some other ways to help improve oral appliance therapy results with our patients? It’s an important question that many of us continue to wonder about – why aren’t more sleep physicians recommending oral appliances for sleep apnea? Well, to begin with, there appears to be a lack of data on the subject. While most dentists understand the importance of using oral appliances for the treatment of sleep apnea, physicians are still not in the know. So let’s get them some data. Another reason is because they may not be comfortable with the process. If that is the case, then we must help them get more acquainted. This can be done by contacting their offices and educating them on the services we provide. Through proper education and understanding, you can help sleep physicians become better acquainted with oral appliance therapy as a successful alternative to the CPAP machine. They are ignorant about topics they know little about, which is why it is important to educate them on oral appliances. Look up studies, attend classes and do what you can to provide the information they need to better understand this treatment alternative so we can all continue to help patients get a better night’s sleep. It has been shown that gastroesophageal reflux disorder (GERD) and Barrett’s esophagus (BE) patients have higher rates of obstructive sleep apnea (OSA) and poor sleep quality. Studies found that about 20 percent of Americans suffer from GERD, which is chronic heartburn or acid regurgitation. These studies have looked at the relationship between GERD and poor quality of sleep. From this they found that on average, these patients have worse sleep and overall low quality of sleep. GERD may contribute to sleep apnea by causing upper inflammation. However, sleep apnea might lead to GERD because it causes an increase in intra-thoracic pressure. Researchers found that OSA cases were higher among GERD patients than BE patients. Even when smoking, BMI and hypertension were considered, the rates of poor sleep still remained higher in those with GERD. While BE is considered a more severe condition than GERD, researchers still found that poor quality of sleep and OSA were more closely associated with GERD. However, another study states that OSA is actually a leading risk factor for BE. What is also interesting is that sleep apnea and BE have common risk factors, including being overweight and having GERD. With a closer look into our patients’ overall health, we can get a better look at what might be adding to their symptoms or even what might be causing further complications. For patients that suffer from sleep apnea, their risk for developing Alzheimer’s later on in their life increases drastically. A new study has linked sleep apnea with an increase in the development of amyloid plaque in the brain, which is a hallmark of Alzheimer’s disease. Researchers found that the more serious the sleep apnea was, the more plaque accumulated. And of those that suffer the most, it is typically the elderly. In fact, it is estimated that about 30 to 80 percent suffer from sleep apnea. While none of the participants of this study developed Alzheimer’s over the two years, those with sleep apnea did accumulate amyloid plaque. This is a potential trigger for Alzheimer’s in the future. The study suggests that treating sleep apnea would likely reduce the accumulation of amyloid plaque. In turn, it could also reduce or eliminate the risk of Alzheimer’s. This is because sleep is necessary for the brain to clear itself of the plaque. It is during sleep that the brain can do its housekeeping to clear some of the proteins that have accumulated during the day. A person with sleep apnea loses out on that restorative sleep that helps to protect the brain. Treating sleep apnea is key to improving the health of our patients and it seems like the connection to other health conditions continues to grow.